Ghirbom is a village in central Romania with no major employers. To access employment opportunities residents in Ghirbom have to travel to the closest city of Alba Iulia, but the distance is prohibitive for many women in the community and frequently they do not have the skills and experience to apply for the available jobs. Ghirbom Bakery produces bread, pastries and other baked goods using healthy, traditional and preservative-free ingredients. Products are sold at Ghirbom Bakery shops in nearby cities and in other neighborhood stores through its reseller network. Ghirbom Bakery's bread is in high demand from customers who are looking for traditional handmade bread that is not readily available elsewhere in the market. The women from this rural community are trained to become professional bakers, building on their lifelong experience baking bread at home in wood-fired ovens. Additional women are hired to work in Ghirbom Bakery shops, ensuring all receive secure income and employment benefits. Ghirbom Bakery joined the NESsT portfolio in 2017. Ghirbom Bakery was founded in late 2014 by the AS 2001 Association, a community development organization in Alba Iulia. Start-up capital and business planning support was provided by NESsT and partner organizations as part of a European Union-funded program. Ghirbom Bakery opened its first shop in Alba Iulia in March 2015 and a second shop in Sebes in July 2015. This year, NESsT invested financial capital to scale the business, including adding a new wood oven, upgrading a delivery vehicle and opening a third shop in a new neighborhood of Alba Iulia to reach a broader customer base. With these investments, Ghirbom Bakery is on target to break-even this year. 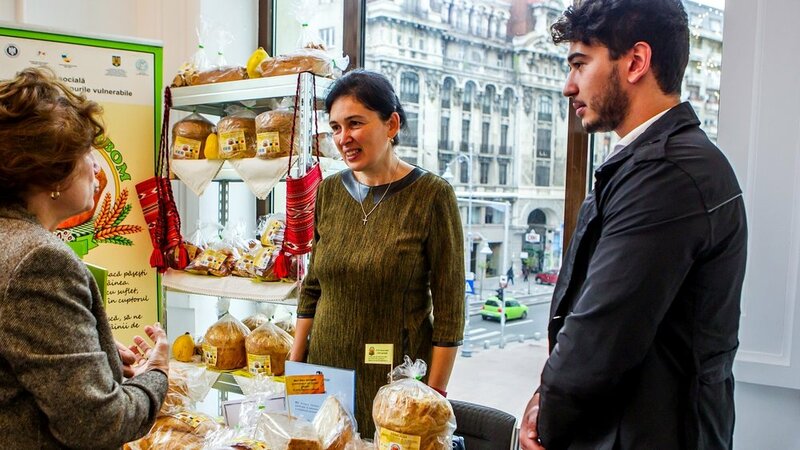 The NESsT portfolio team in Romania has supported Ghirbom Bakery with an audit and mentorship to develop a refined financial model that improves on its cost estimation, structuring and control processes. The team is also providing consulting to help Ghirbom Bakery assess and develop and growth plan to take advantage of customer demand for their specialized product offering.